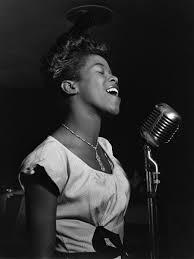 This week I came across a quote by Sarah Vaughan, "When I sing, trouble can sit right on my shoulder and I don't even notice." Music has the power to empower mankind personally, socially, environmentally. In this way, with the change to spring, I wanted to share some music to help us all have a fresh, empowering start to the season. With this new start to a new season I hope we all feel motivated to accomplish our goals! My goals for spring include focusing on gratitude, positivity, and personal health as well as learning more about animal rights, environmentalism, and social issues.